You are looking on Russian Civil War commemorative issue jetton, presented to participants of 1919 campaign. 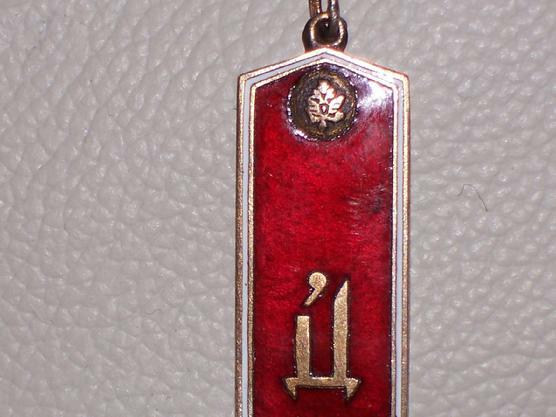 This particular miniature shoulder board was presented to the servicemen of General Drozdov Army. 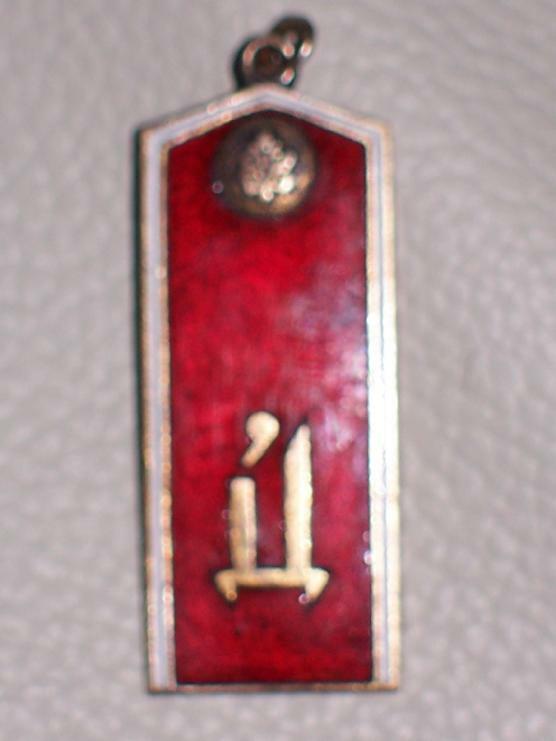 The front metal token is covered with red and white enamel and capital cirilic letter "D". 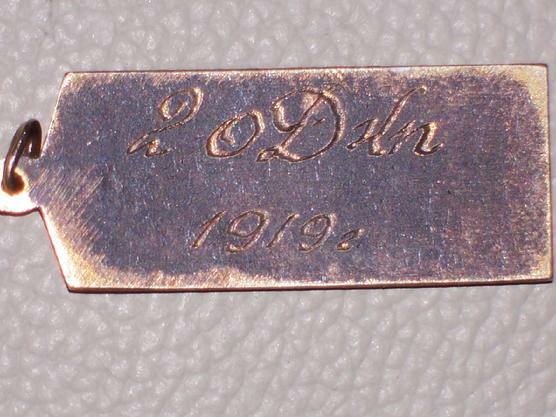 The year "1919" and"2 oDkn"is etched on the reverse.